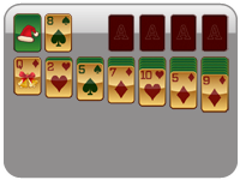 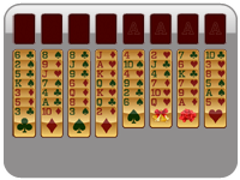 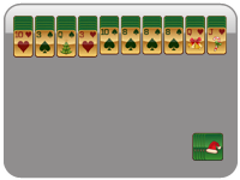 If you are not one to follow typical Christmas holiday traditions, you may enjoy the spins that the Yukon, Scorpion, and Wasp games will put on classic Solitaire. 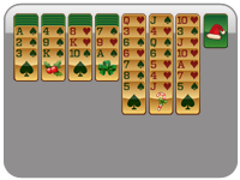 Cards may be placed on top of one another in descending suit and alternating color, regardless of which cards are on top of it. For example: A run of Ace-5-Jack may be moved onto a run that ends in a 2, as long as the Ace and the 2 are different colors. 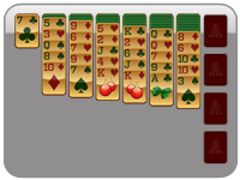 This game provides a lot more placement possibilities than the other versions of Solitaire, but also has added challenges. 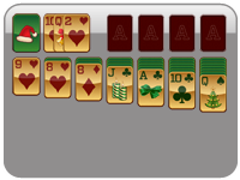 Be sure to move cards to your foundation cells in ascending order by suit.